J2EE Stands for java enterprise edition, works as a specification. J2EE specification contains rules, guidelines to develop webserver as well as application server software like weblogic, tomcat etc. Working with J2EE is nothing but working with one or other webservers or app server software to develop the applications. J2EE phase concepts are servlets , JSP ( Java Server Pages), EJB, JTA ( Java Transaction API), JCA ( Java Connector API), JAAS ( Java Authentication and authorization service). 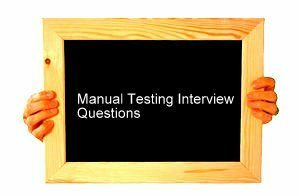 J2EE Interview questions are very important because majority projects of JAVA environment will be developed based on J2EE Phase. Best examples domains are banking financial service, insurance companies, healthcare. Question 2) What is Latest Version Module of J2EE? Question 3) What is the difference between Static block and Constructor explain with suitable example? Answer) Static block is class level one time execution block. When JVM ( Java Virtual Machine) loads java class the static block of that class executes automatically. This block is useful to initiate static member variables of a class. Constructor is object level one time execution block when JVM created object for a class then the constructor of that class executes once automatically. It is useful to initiate variables of object. With Respect to above application we can see JVM loading java classes in the following situations. Question 4) How Many ways are there to create object in java class? One of the commonly asked question on J2EE Interview Questions is How Many ways are there to create object in java class? So friends be well prepared for J2EE Interview and hope you get your dream job.